Never miss an appointment again by syncronizing your Google Calendar with your Blackberry! With convenience taking precedence in our fast-paced world, it’s no wonder Blackberry users everywhere were excited with the release of the Google application which synced their Blackberry smartphone’s native calendar with Google Calendar in December 2007. When you download the Google Calendar application on your Blackberry, it will sync your Blackberry’s native calendar with your Google Calendar online, ensuring both your calendars are always up-to-date. Your Google Calendar will download into your Blackberry and any subsequent changes you make in your Google Calendar online will reflect in your Blackberry. Similarly, you can access Google Calendar from your Blackberry smartphone and add and edit calendar entries in your Google Calendar online. Events are usually synchronized every two hours, or more frequently if you update your Google Calendar on your Blackberry. No need to manually update either calendar anymore. To download the Google Calendar App to your Blackberry smartphone, you have two options. Visit: https://www.google.com/intl/en_us/mobile/blackberry/sync/index.html. Type in your Blackberry phone number and Google will send a link to your smartphone which will allow you to download the App. Directly enter the URL into your Blackberry which is: m.google.com/sync. Click on the menu button and click on Get Link. Next click on Download. After installation is completed, click on the Google Sync icon on your Blackberry’s desktop. Sign into your Google or Google Apps account and the application. You can make changes to the default settings by scrolling and selecting Options. After you make your changes click on Sync Now and it will automatically sync the events from your Google Calendar to your smartphone’s native calendar. Depending upon the number of Google Calendar events, it may take a few minutes. Whenever you setup alerts, along with your reminder emails and prompts, you will also receive reminders to your Blackberry with sound or vibration. This feature can also be used when you have limited or no network coverage. Synchronization of both your calendars runs in the background, so it doesn’t interfere with whatever you may be doing. 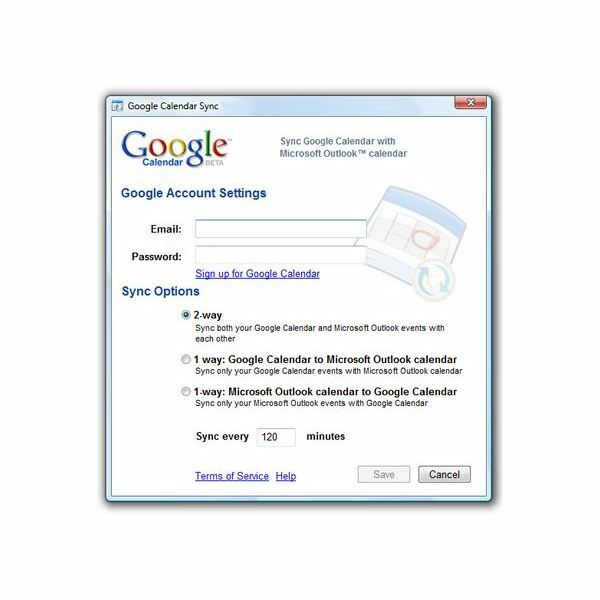 Even though it is a two-way sync events present on your Blackberry’s calendar before Google Sync is installed will not be synced with your Google Calendar on the web, only the events after installation. If you don’t own a Blackberry, you can use GooSync to sync your Google Calendar with your cell phone. Visit: https://www.goosync.com/. It doesn’t require you to download any Apps. Remember, Google Application for you phone are free, but carrier charges may apply. It’s always a good idea to check your carrier rates before you download any Google Application.